IMMEDIATE OCCUPANCY! 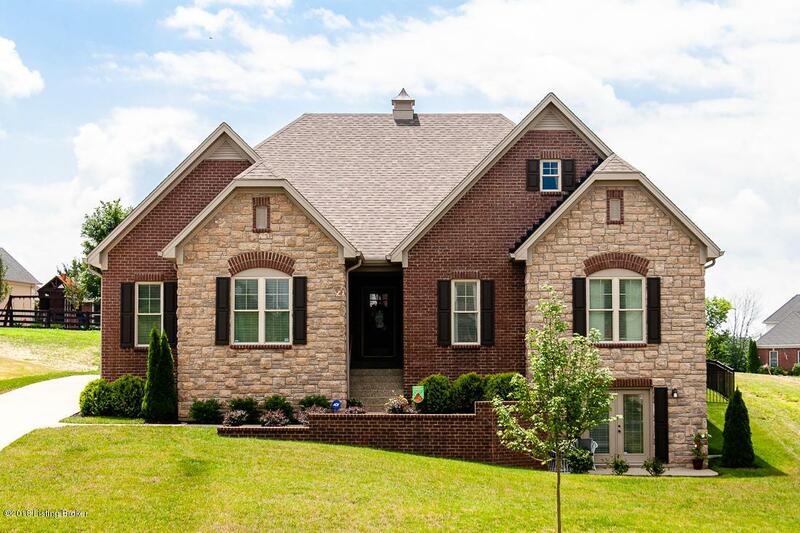 You can't miss this amazing 4 BR, 3 BTH Oldham County home with a finished walkout basement! Open concept Great Room, Kitchen and Dining. 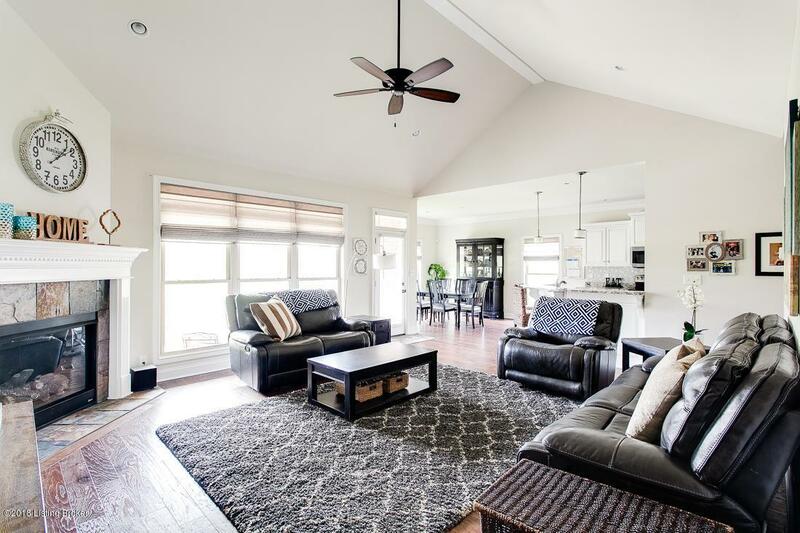 The Great Room has a gas fireplace, hardwood flooring, a vaulted ceiling and large windows for natural light. The Eat-in Kitchen has granite countertops, stylish white cabinetry, a full compliment of stainless steel kitchen appliances and tons of recessed lighting. This home's Dining Area is perfect for hosting large or small gatherings. 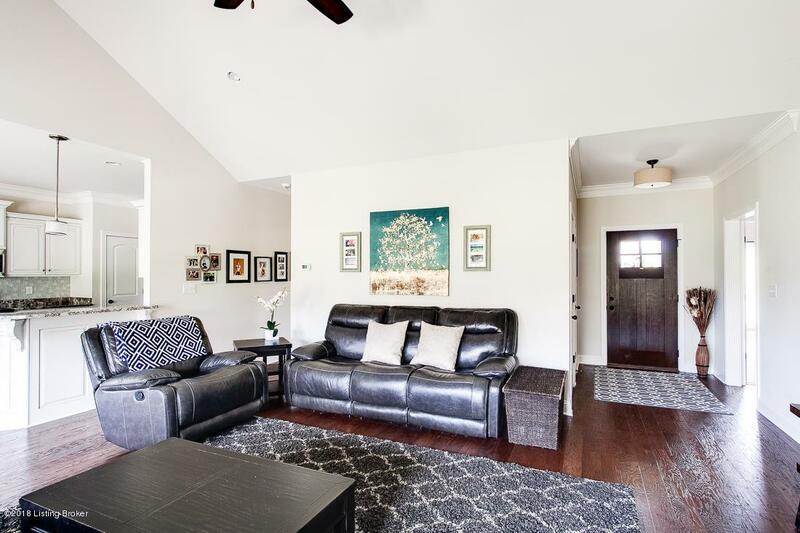 Just off the living area is an awesome covered rear porch and rear patio. This split bedroom floor plan features an oversized Master Suite on one side of the home and two additional first floor BRs on the opposite side of the home.The Master BR has a vaulted ceiling plus a walk-in closet and an amazing Master BTH with walk-in shower, tub and double vanity. 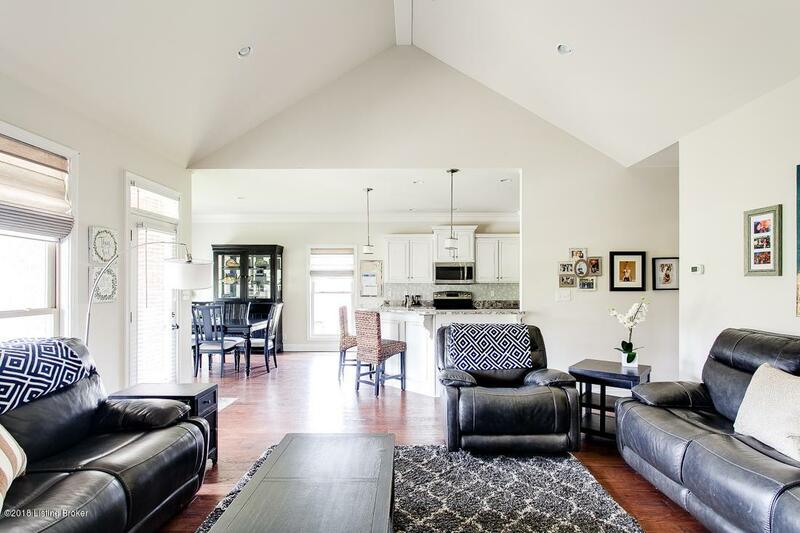 The lower level is finished with tall ceilings, a family room, full bath and 4th BR. Tons of storage space or room for expansion here with 2 unfinished spaces. The walkout patio is off the family room and great outdoor space! On the exterior is brick and stone plus a 2 car rear entry garage, black aluminum fenced back yard and rear porch and patio. Heritage Hills is convenient to all area amenities and minutes to the South Oldham school campus and interstate!